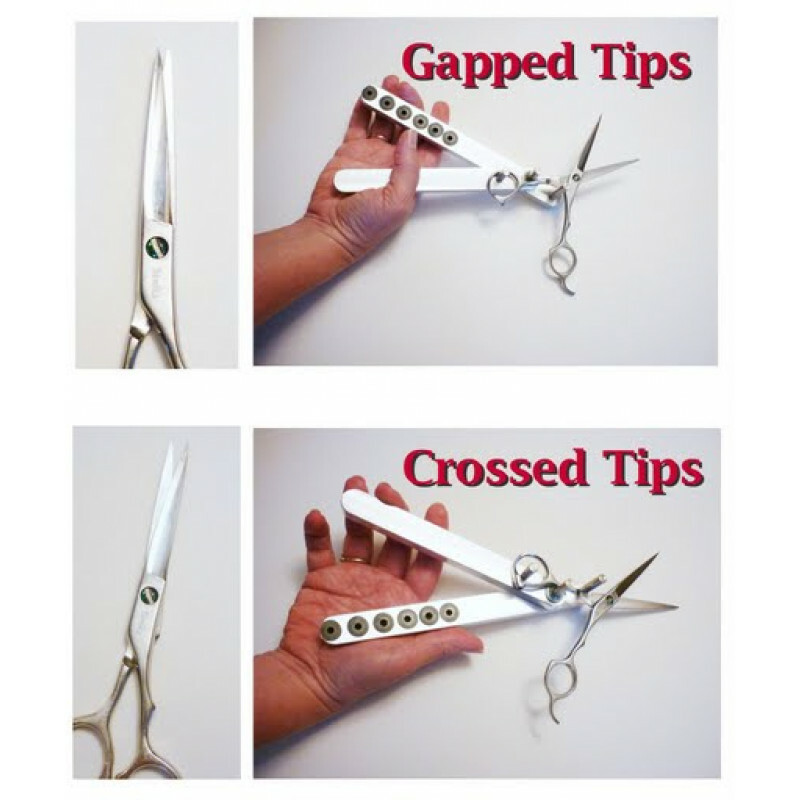 This portable 3 in 1 bending tool is used for gently bending the handle of shears in order to repair tips that cross or gap. 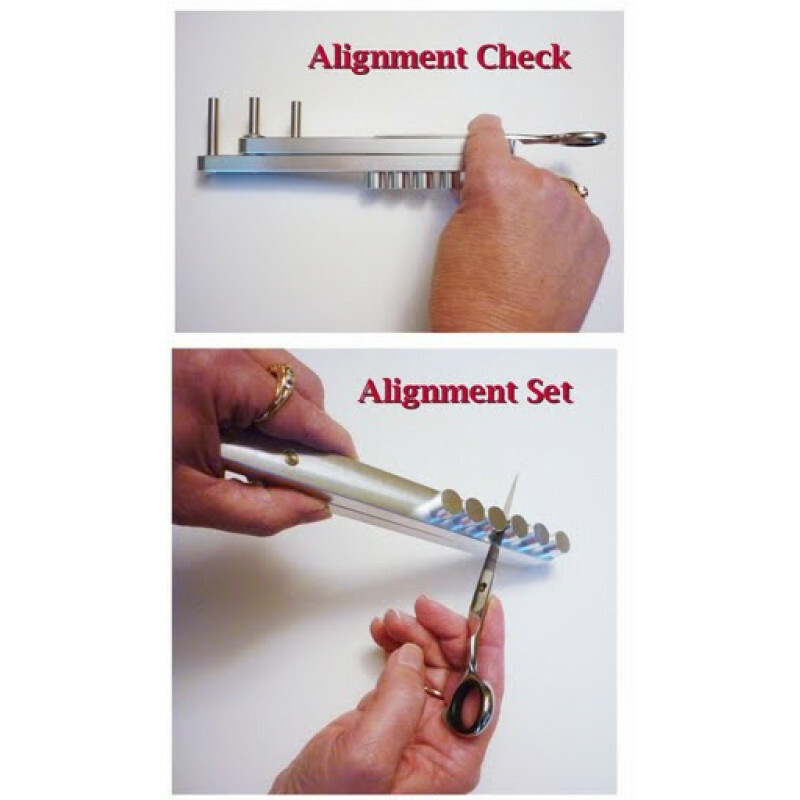 Use the precision flat bar section of the Bender tool to check the set on the shears. Use the unique cylinder rods to create various size gaps to allow blade bending, set and realignment. The blade of the shears being repaired don't touch any hard angled surface preventing blades from snapping or damage to the blade surface. Bending tool used for basic cutting tool repair.